The other day I was talking to a friend about the need to demystify plants, so that teachers feel as confident in their teaching of plant biology as they do about animal biology. I wonder if sometimes we teach plants too much in isolation, so it’s not always clear how plants relate to other organisms (other than as food). For me, comparing the evolutionary trajectory of plants as compared to that of other organisms builds a more intuitive understanding of plants. Here are 12 perspectives that highlight how plants are similar to and different from other organisms. 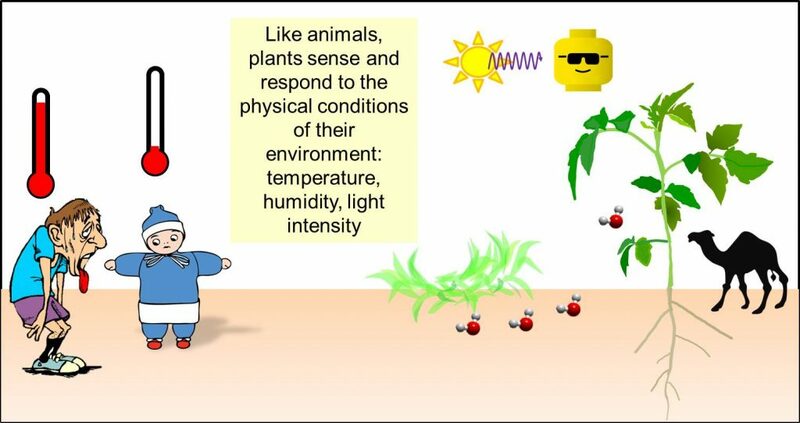 The figures are from the Teaching Tools in Plant Biology article “How to be a plant“, where you can also find references to articles that discuss these statements in more depth. 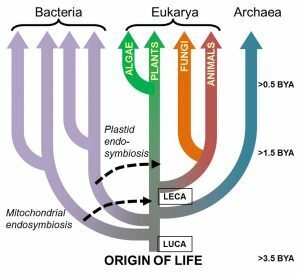 Plants, animals and bacteria share a common ancestor, known as LUCA (the Last Universal Common Ancestor). A later common ancestor, LECA, is shared by all eukaryotes (Last Eukaryotic Common Ancestor). LUCA and LECA were sophisticated cells. LECA in particular contained most of the features we associate with a modern eukaryotic cell (nucleus, mitochondria, cytoskeleton etc). 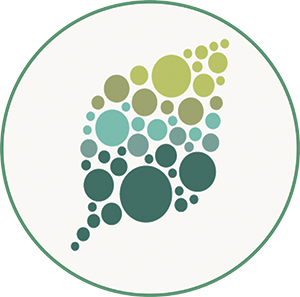 TAKE HOME MESSAGE: At a cellular level, plant cells have most of the same features and biochemical capabilities as animal and fungal cells, including mitochondria in which they consume molecular oxygen in the production of ATP. Plants have an endosymbiotic organelle (the chloroplast) that confers upon them the ability to synthesize chemical energy from light (photosynthesis). In some algae all cells are photosynthetic, but in many multicellular plants photosynthesis takes place only in some specialized cells. TAKE HOME MESSAGE: Plants do the same things that animals do but they also are photosynthetic. In terms of cellular energetics, think of “AND” not “OR”. 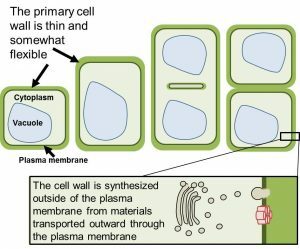 Plant cells have a rigid cell wall. 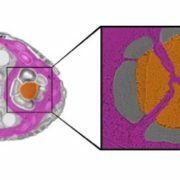 Plant cells divide by building a wall from the center outwards, whereas animal cells divide by pinching from the outside in. In multicellular plants, most cells are held in the position in which they are formed. Growth occurs by the expansion of cells and new cell production, with little cell movement. TAKE HOME MESSAGE: Cell division and development occur somewhat differently in plants and animals, largely due to the rigid plant cell wall. Furthermore, in plants organogenesis occurs throughout the life of the plant, meaning that they show a tremendous environmental plasticity as compared to animals. Plants evolved from green algae about 450 million years ago as the key event in the colonization of land. 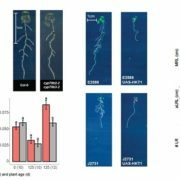 Symbiosis with mycorrhizal fungi is thought to have been crucial in the terrestrialization of land by plants. 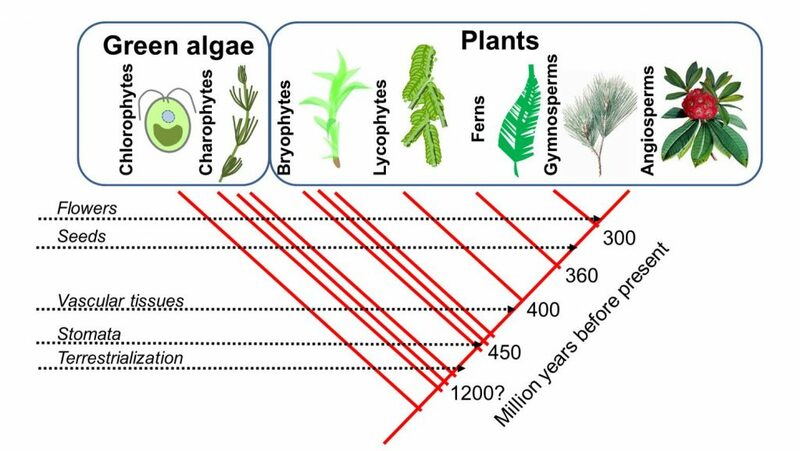 TAKE HOME MESSAGE: The “green lineage” is about 1.5 billion years ago, but plants diverged from algae only about 450 million years ago, in the Ordovician Period (during this Period, the fish lineages were expanding). The movement of plants onto land paved the way for later terrestrialization by invertebrate and vertebrate animals. The earliest terrestrial plants were nonvascular as are modern bryophytes, which include hornworts, liverworts and mosses. Vascular plants appeared about 420 million years ago. 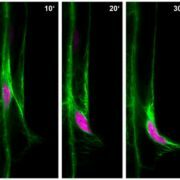 Vascular tissues provide support and the ability to move water and solutes long distances, paving the way for a considerable increase in plant size. TAKE HOME MESSAGE: Non-vascular plants dominated Earth for several million years and still thrive in many niches, but they are limited in size due to their lack of sophisticated transport tissues. Most environments today are dominated by vascular plants. Plants perceive the world around them in many ways. One way that they differ from animals is that they don’t have sensory organs like eyes, ears and noses. Instead, most or all cells perceive the environment through receptor proteins. 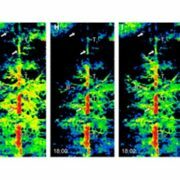 Plants perceive light by way of photoreceptors related to those in animal eyes. Noses detect odors through chemical detectors. (We define a chemical as having an odor if we can smell it, which is an anthropomorphic way to classify chemicals). Plants perceive chemicals too, so in a way you can say that they have a sense of smell. Ears perceive vibrations, and plants have membrane proteins that respond to pressure and vibrations, so you can argue that plants hear. TAKE HOME MESSAGE: Plants use similar mechanisms as other organisms to perceive their environment. Vascular plants evolved the ability to move water, solutes and information through specialized conducting tissues, which enabled plants to grow to great heights. Vascular plants have hollow water-conducting tissues (the xylem) and living solute-conducting tissues (the phloem). 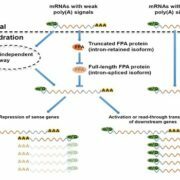 Hormones, small RNAs and proteins carry information through these transport tissues. The plant transport system is an “open” system, but considerable circulation occurs. The energy of transport comes from ion pumping and the evaporation of water (plants have no heart-like pump). 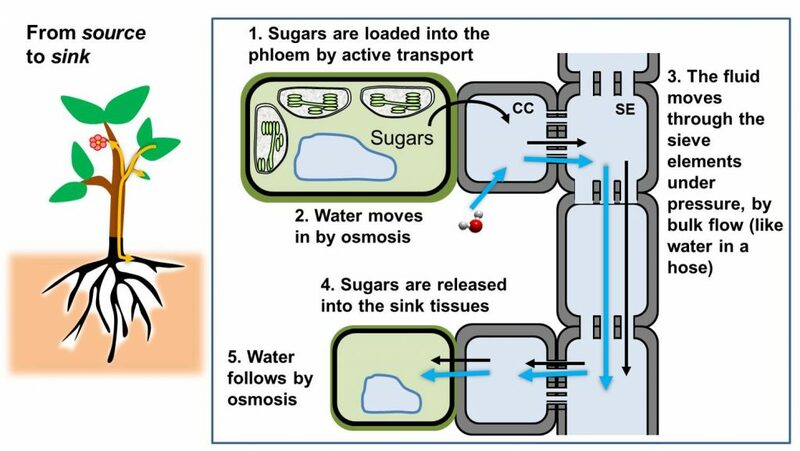 TAKE HOME MESSAGE: Vascular plants have a sophisticated transport system but no central pump. Plants are photosynthetic autotrophs which means that they are able to use light energy and inorganic compounds (taken up from the environment) to synthesize organic molecules. Most prokaryotes are also autotrophs; animals are the oddballs in terms of nutrition in that they are heterotrophs that have lost a lot of the biochemical capability to synthesize organic molecules from inorganic precursors. In vascular plants, most nutrient import occurs from the soil via roots. TAKE HOME MESSAGE: Plant nutrition is more about building up than breaking down. There are benefits and challenges to the terrestrial habit. It is thought that early plants became terrestrial because pressure from herbivory and competition for light were lower in this new niche. However, terrestrial plants had to adapt to significant challenges including scarce water, much higher light intensity including UV light, more extremes of temperature, and a lack of buoyancy. These abiotic challenges are exacerbated by the fact that plants are rooted in place, so cannot move away from harsh conditions. TAKE HOME MESSAGE: The terrestrial environment is challenging. Features like the cuticle, the stomata, and chemicals and proteins that protect from the harsh abiotic environment evolved in response to terrestrialization. Through evolutionary adaptations, plants can survive in almost every part of Earth, including high mountains, deserts, and the polar regions. Plants, like animals, are vulnerable to a wide range of pathogens and pests. Defenses against pathogens include barriers and constitutively-produced chemicals. Plants are masters of chemical synthesis and produce hundreds of thousands of chemicals, many for defense. Because of their roles in defense, many of these chemicals are biologically active in useful ways for us, as medicines and stimulents. 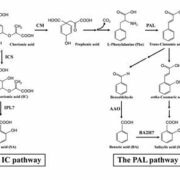 Plants are also able to induce defense responses when pathogens are perceived. Plants do not produce antibodies, but they produce proteins that recognize pathogens at the cell surface and within the cytoplasm. Induced defenses include a reactive oxygen burst and the production of anti-microbial or anti-herbivore compounds. TAKE HOME MESSAGE: Plants are active agents in their own defense. Plants can reproduce asexually (clonally) and sexually. During sexual reproduction a haploid egg cell is fertilized by a haploid sperm cell to produce a diploid zygote. 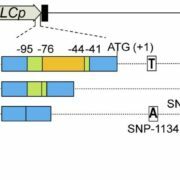 In bryophotes, the diploid phase is short-lived and the multicellular haploid gametophyte is the dominant life form. In vascular plants the dominant life form is the diploid sporophyte, but all plants go through a multicellular gametophyte stage. 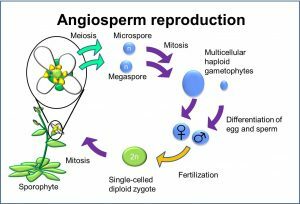 Gametes are formed following meiosis, but the gametes are not the direct products of meiosis; rather, the products of meiosis undergo one or more rounds of haploid mitosis before gametes form by differentiation. TAKE HOME MESSAGE: Sexual reproduction is remarkably similar in animals and plants, although in plants it is even more complicated. Only some plants make seeds. Bryophytes do not produce seeds. Their life stages cycle between sporophyte and gametophyte without pause. Furthermore, bryophytes and ferns require water for the viability and fertilization of the egg and sperm. For these reasons, bryophytes and ferns are usually associated with moist environments. Gymnosperms and angiosperms produce seeds, which provide them with a dormant life stage through which they can endure periods of stress. Pollen can travel through the air, meaning that these seed plants do not depend on water for fertilization. Angiosperms are the most abundant plants on Earth because through flowers and pollinators they are able to increase their reproductive efficiency many fold over other types of plant. Flowers first arose during the Cretaceous Period, when dinosaurs were abundant, and their form has continued to diversify until recent times. 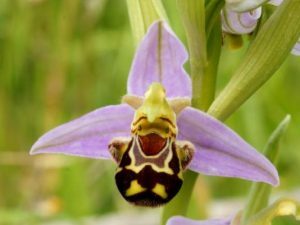 Orchids, which have co-evolved with specialized pollinators, are the largest and most diverse family of flowering plants. TAKE HOME MESSAGE: Angiosperms are the superstars of the plant world thanks to seeds and flowers, but most angiosperm diversity is relatively recent. Do you have any helpful hints to help make plants seem more familiar and less like alien life forms, so that teachers and students can appreciate them for themselves and not just as something to eat? Please share! Addendum: In response to this post, Hervé Sauquet (Universite Paris Sud) shared this video he made that explains plant evolution and how we interpret it. This video was created for a MOOC and is broadly accessible.